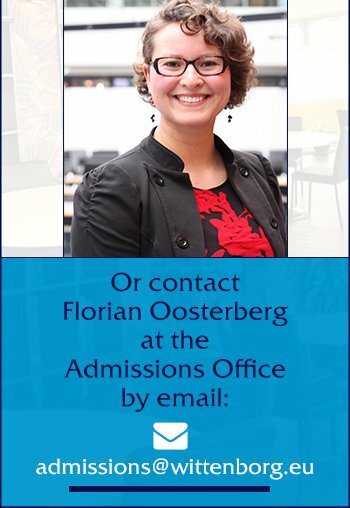 Wittenborg’s outlook is global and it aims to maintain its independent status whilst being one of the most international and diverse higher education institutions in the Netherlands. The University promotes total equality of students and staff, of cultures and genders and people with disabilities within the institute. Wittenborg promotes a working environment that is fair, and emphasises respect between and within its student and staff body. Wittenborg embraces diversity as a key value. The practical applied sciences that are engaged within Wittenborg’s programmes enable the University to maintain up to date content within a diverse range of management orientated disciplines and implement curriculum to the highest modern education standards. As a University of Applied Sciences, Wittenborg sees as important an interdisciplinary approach to higher education, which is reflected in the cross-disciplinary broad management programmes that allow students to develop their knowledge, skills and development through applied research in a manner that is not subject constrictive. Wittenborg embraces ethics as a key value. Wittenborg’s goal is to develop into a broad management orientated University of Applied Sciences in various professional field such as Business & Entrepreneurship, Hospitality & Tourism, Arts & Technology, Health & Social Care and Education. The University will maintain quality through maintaining a vigorous and transparent accreditation cycle for its programmes, ensuring dialogue with its students and staff through their active involvement of the accreditation and validation processes. Within its role as a higher education institute the University supports life-long learning through the development and implementation of up to date and industry driven professional programmes aimed at corporate employees and individuals.